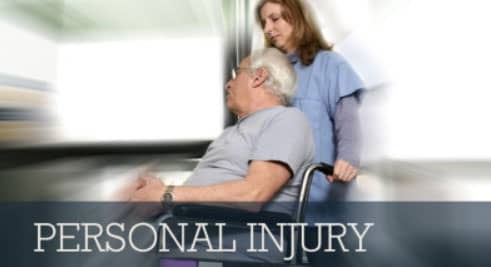 Injury Lawyer Miami | Personal Injury Case - Shamis & Gentile, P.A. Choose to work with the other party’s attorney (which could possibly put you at a major disadvantage). By hiring your own attorney, you are limiting your risk of being taking advantage of by the other party’s attorney. If you have someone on your side that knows the system it will significantly increase your chances of receiving the benefits you deserve from the accident. Trucking accidents have increased by 20% in the past 20 years. Due to the large size of these trucks, this type of accident can be deadly and have a devastating outcome. A major problem with the trucking business is that there aren’t enough qualified drivers for the amount of jobs that need to be filled, which means not only are unqualified drivers getting the jobs, but they are working more hours than they should be too. The actor Tracy Morgan was recently involved in a truck accident in New Jersey. This accident is an example of why it is so imperative for these truckers to get off the road when they are sleep deprived. If you have been involved in a trucking accident, it is in your best interest to call an attorney right away to help make your case. Falls are one of the leading causes of unintentional injuries in the United States, according to the National Safety Council. A wet or slippery substance on the ground will cause someone to slip and fall. Items such as water or ice, spilled objects, or round objects such as marbles can cause a slip and fall. Injuries that most commonly associated with a slip and fall are the back of the head, neck, back or hip. Even though slip and falls can happen anywhere, some common places are grocery stores, restaurants, stairways and cruises. For instance, on a cruise line slip and falls are the number one cause of a personal injury, and they tend to occur on or around the pool deck. This area is normally outside and is one of the most populated areas on the ship. Another type of fall would be a trip and fall. In this case a fixed object or uneven surface in your direct path will cause you to misstep. Both types of falls can occur because of someone else’s negligence and therefore are called personal injuries. If you have been injured due to any of these accidents or a different type of accident you think was caused by another person’s negligence, please call us for a free consultation. Some injury victims have a limited amount of time to file a claim after their accident, so it is critical to hire an experienced Miami injury lawyer who will fight for you so you get what you deserve.